The American Academy of Implant Dentistry is the oldest implant organization in the world. Its mission is to advance the science of implant dentistry through education and research for the benefit of mankind. To further the cause of education, the AAID created the Maxicourse® which is a rigorous 300 hour curriculum covering the entire spectrum ranging from basic science to advanced implant concepts. The Asia Maxicourse® is in its 15th year in the region. The course has trained over 650 dentists from all over south East Asia and from the Middle East. This was the first Maxicourse® that incorporated live implant surgical training. 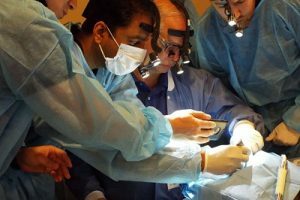 Every participant places and restores implant cases in patients who are brought by the participants or being provided by the course. The course is divided into five modules with each module spread over six days. Every module has hands on exercises and or live demonstrations and surgical participation. A detailed curriculum is listed under the course overview tab. The course was developed keeping in mind the needs of the learner. The curriculum is case and evidence based. The impressive list of alumni who are listed stand testimony to the quality of the education and the unbiased approach to learning. Many of our participants have become leaders and heads of departments. Several deans have graduated from our program and have implemented departments of implant dentistry in their institutions. Our participants have hailed even from the U.S. and U.K.
Once you register with us in this journey, we will ensure you that you will have a partner in education that you can count on for the rest of your career. Over the past 14 years we have managed to maintain our camaraderie with our alumni. They continue to reap the benefits of the mentorship and have the assurance that they can at anytime return to the program for updates and reach out for assistance with cases. Thank you again for all your guidance and motivation. I have no doubt that you are going to be the next "Father of Implantology". Thank you for an amazing journey, we would try to imitate your amazing teachings and move ahead in this implant journey. The true value of a teacher doesn't become evident by the amount of knowledge he has but by the amount of inquisitiveness he instills in his pupils to grasp and infiltrate that knowledge. It was a great exposure being associated with the AAID. Thank you so much for all the wonderful lectures and clinical experience. Thanks to you and the AAID. Thank you so much for l the beautiful lecture experiences, case planning. Thank you for helping me come out of y comfort zone and explore the beautiful world of Implant Dentistry. It has been a wonderful exposure and pleasure learning from someone like you. It has been a real pleasure working and learning from you. Your knowledge, enthusiasm and commitment to teaching and spreading knowledge are exemplary and par excellence. Thank you for your great lectures and your support. It's my privilege to be associated with you and this program. Your are a star! We will always look up to you. Thank you for your shining in our lives and inspiring us. 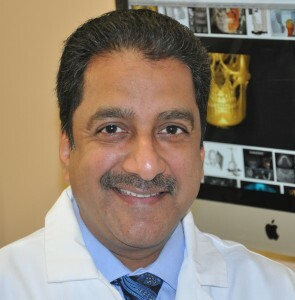 We are all really lucky to hear your lectures and having your guidance in implant surgery. I am proud to say that I am your student. I am indeed blessed to have you as my mentor and guide. A teacher takes a hand, opens the mind and teaches the heart. When one finds a true Guru one conquers half the world. Thank you for taking us on as students. Thank you from the bottom of my heart for throwing light into the world of all dimensions of Implantology. I feel the energy and enthusiasm that you have is because of your passion for dentistry. The AAID MaxicourseR conducted in India was worth my time, money and efforts. It had made such an impact that it has transformed my entire practice. From a modest general practice, I have incorporated implants as a routine part of my practice in Colombo, Sri Lanka.